Wanting to Build? We are Step #1! 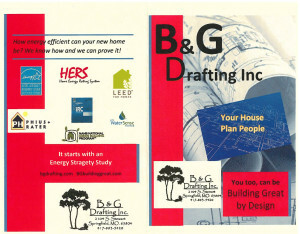 B & G Drafting, home-based in Springfield, MO., has the firmly established reputation of producing outstanding custom, house plans since 1971. B & G Plans are accurate, builder-ready construction documents, tailored to meet your residential building needs, large or small. 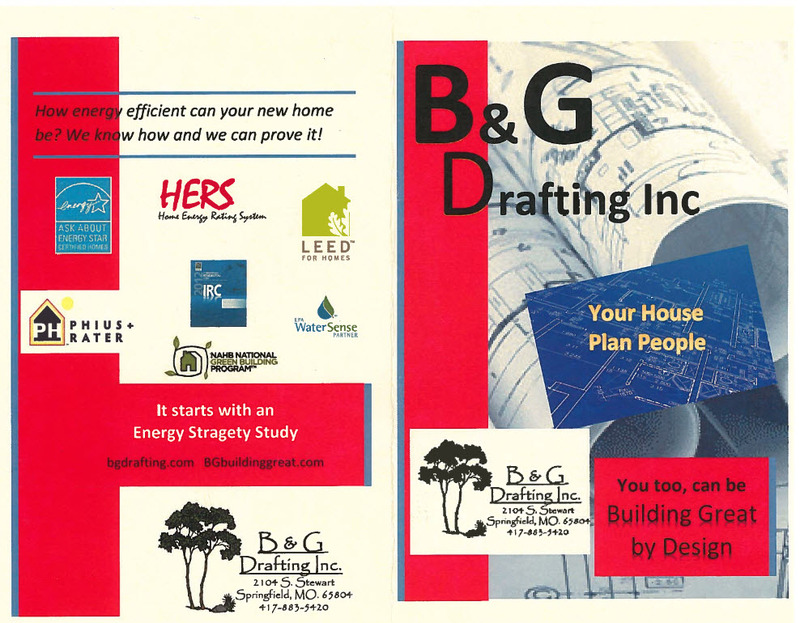 B & G Listens to your wants and needs to assure the beauty and proportion of your home design meets expectations. To Fail to Plan…is to Plan to Fail! STEP 1 – Gather Information. Lists – List what you want in your home, along with any questions. Sketches – Make free hand or block diagrams showing room locations. Details about closets, stairs, etc. will be handled at your conference. Pictures – Photos of a house you like can be useful to relay the style you wish to achieve. Puzzle Pieces – Combine ideas from bits and pieces of various drawings and pictures. Old Plans – Bring in old plans from a previously owned home to show your likes and dislikes. have. We will custom design the Preliminary Plan for your new home. STEP 3 – Pick Up Your Preliminary Plan. study and mark changes as necessary. STEP 4 – “Go Final”. discussed completely before Final Construction Plans are produced.